“Kings Park: Stories from an American Mental Institution” will screen in Arlington at the Regent Theatre on the morning of Friday October 10th, at 9:30 am, at the Mad in America International Film Festival. 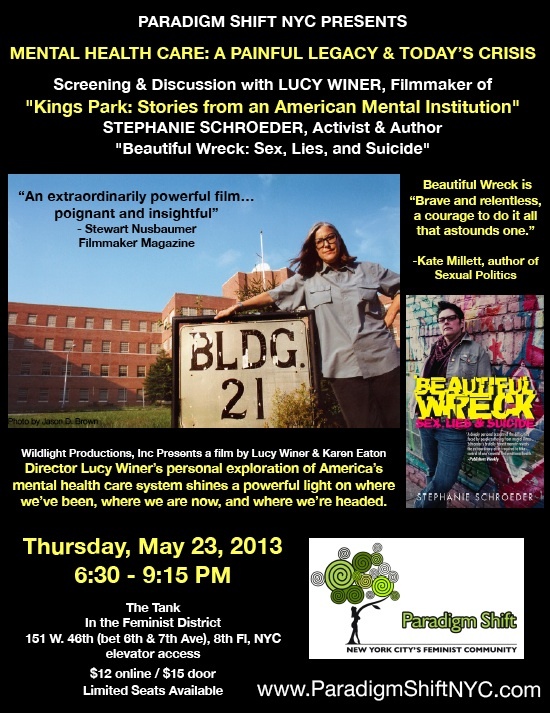 Director Lucy winer will be there for a Q&A after the screening! Below is more info about the festival, a description of the film, as well as a link to the new trailer. Please support the amazing “KINGS PARK: Stories From An American Mental Institution” – screening at The 10th Annual NYC Mental Health Film Festival in Brooklyn, NY at St. Francis College on Sunday, May 18th @ 2:15 pm. Talk with the Filmmakers will follow screening. LIMITED SEATING / Buy Online!